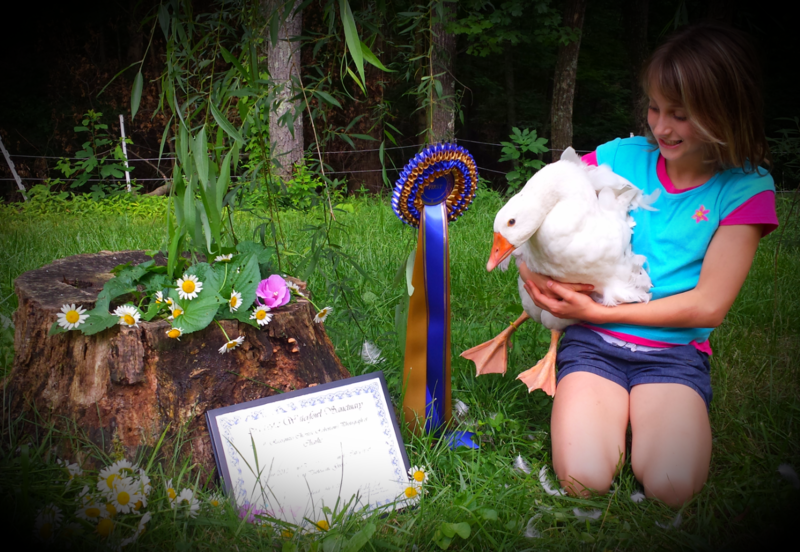 "Duck-Duck-Goose" Blue Ribbon Photo Contest! 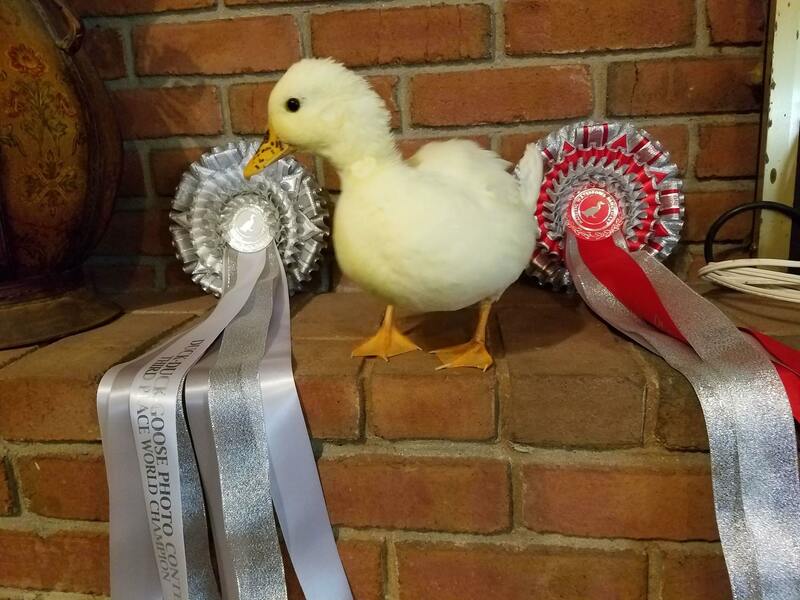 A Few of our Proud Winners with their Ribbons! 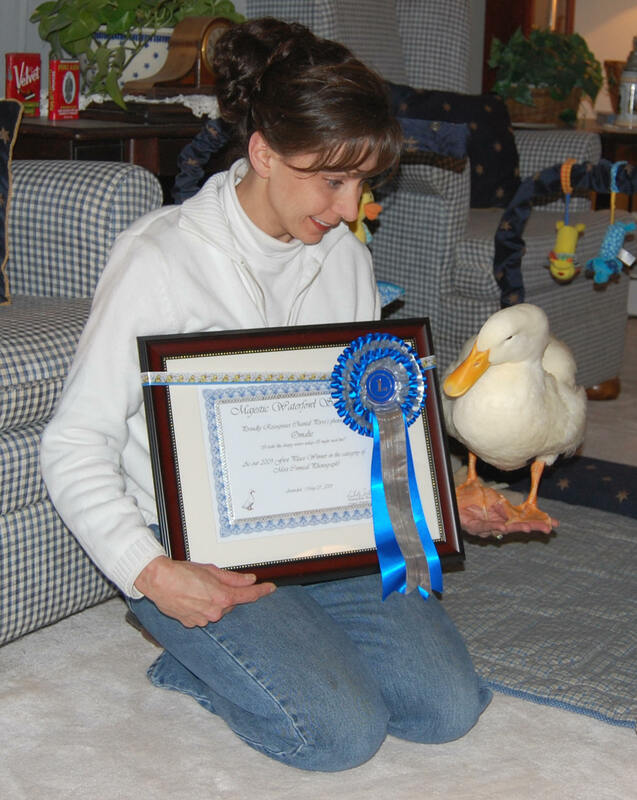 Our 2009 Most Comical Winner "Omalie" admires his Blue Ribbon! 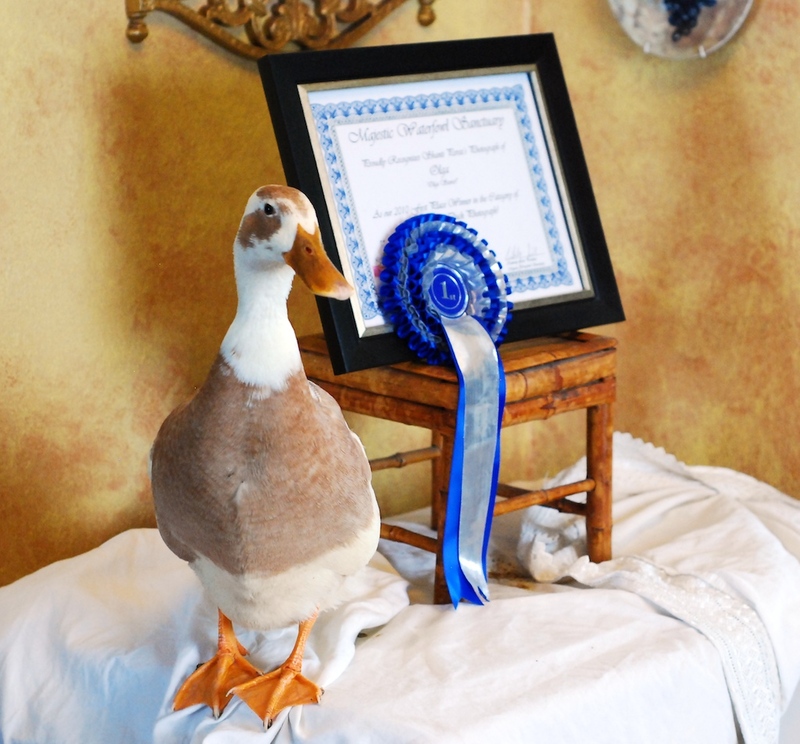 Our 2010 Most Comical Winner "Olga" poses with her Blue Ribbon! 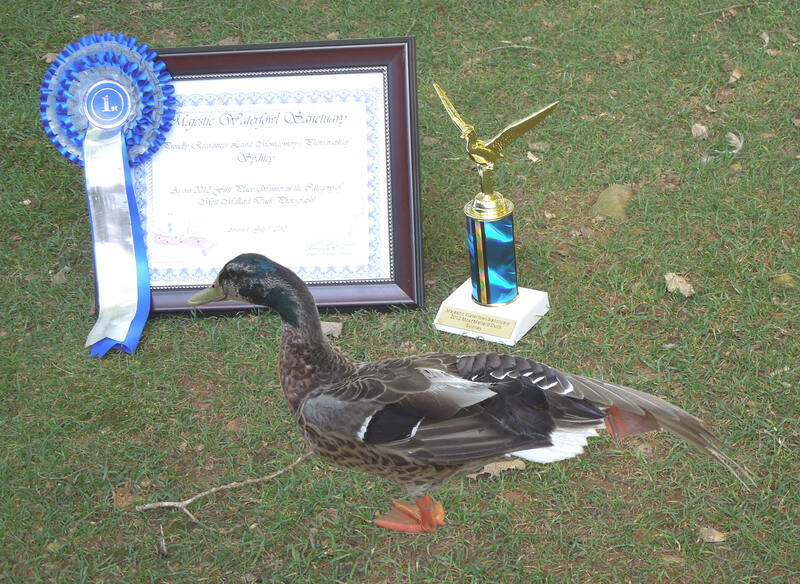 Our 2011 Most Mallard Winner "Wings" admires her Blue Ribbon! 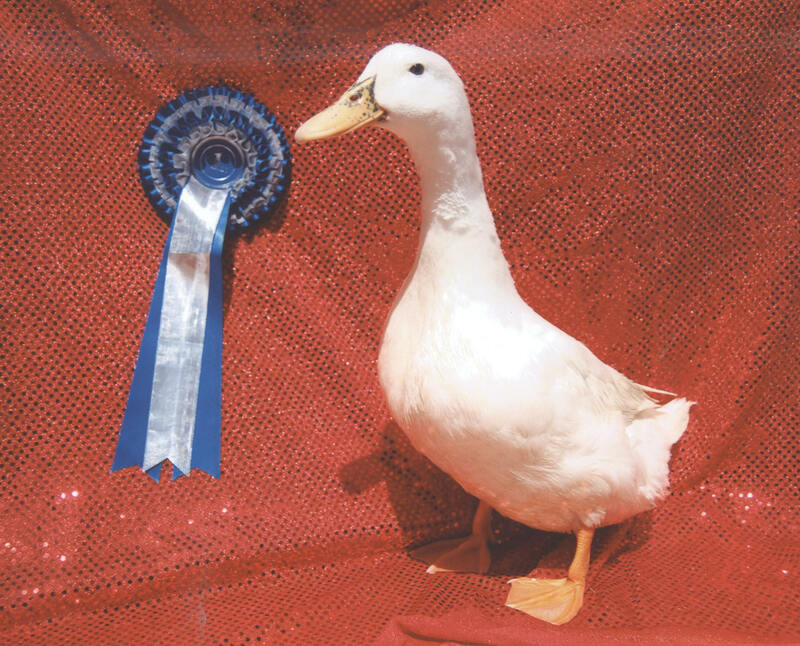 Our 2011 Most Photogenic Winner "Angel" poses with her Blue Ribbon! 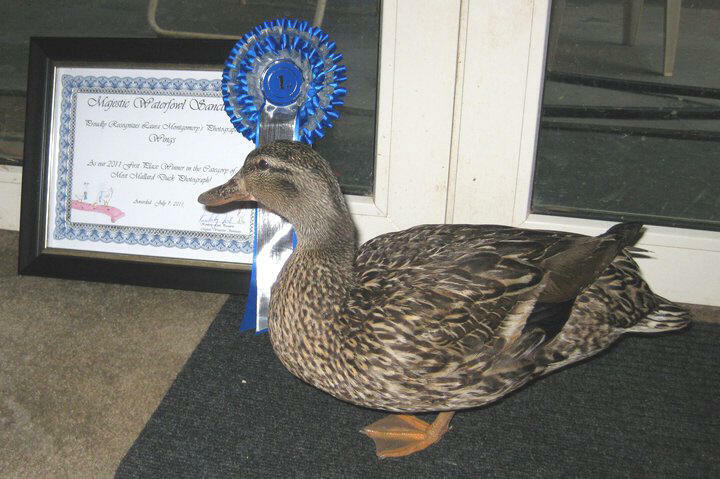 Our 2012 Most Mallard Winner "Sydney" poses with his Blue Ribbon & Trophy! 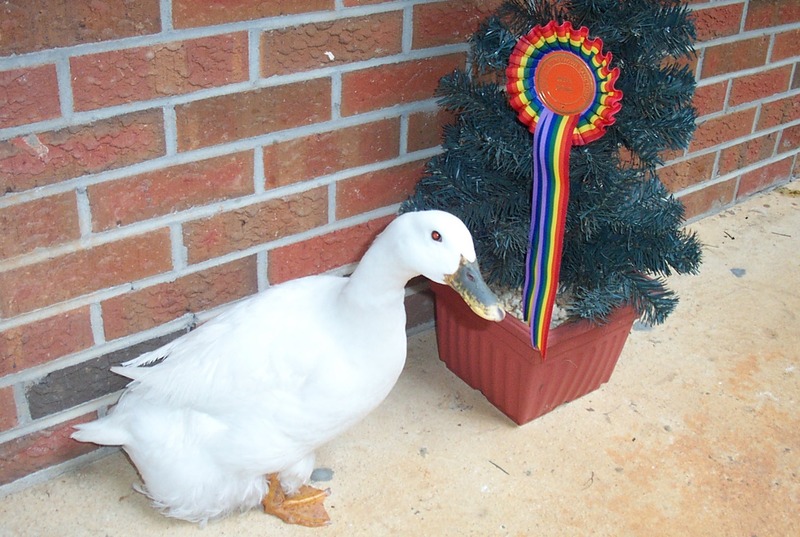 Our 2013 President's Pick Winner "Lilly" poses with her Rainbow Ribbon! 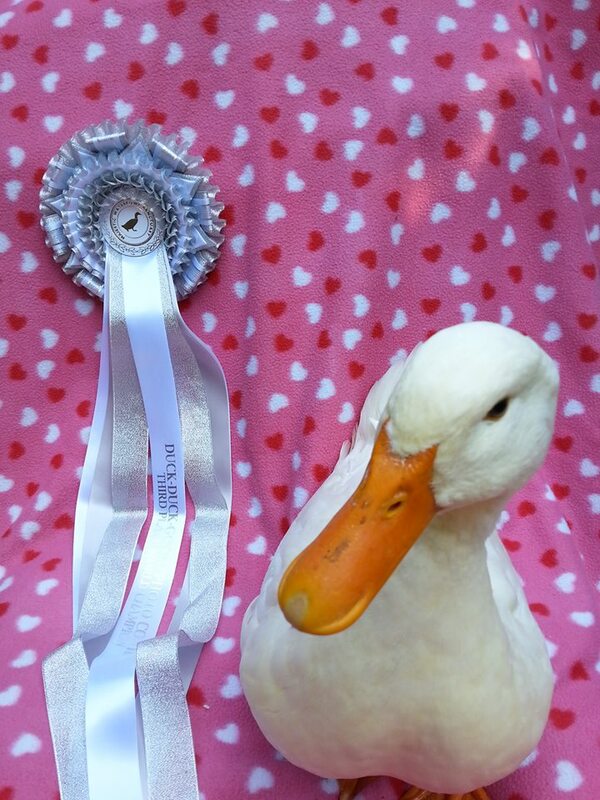 Our 2013 Second Place Most Photogenic Winner "Sweet Pea" poses with her Red Ribbon! 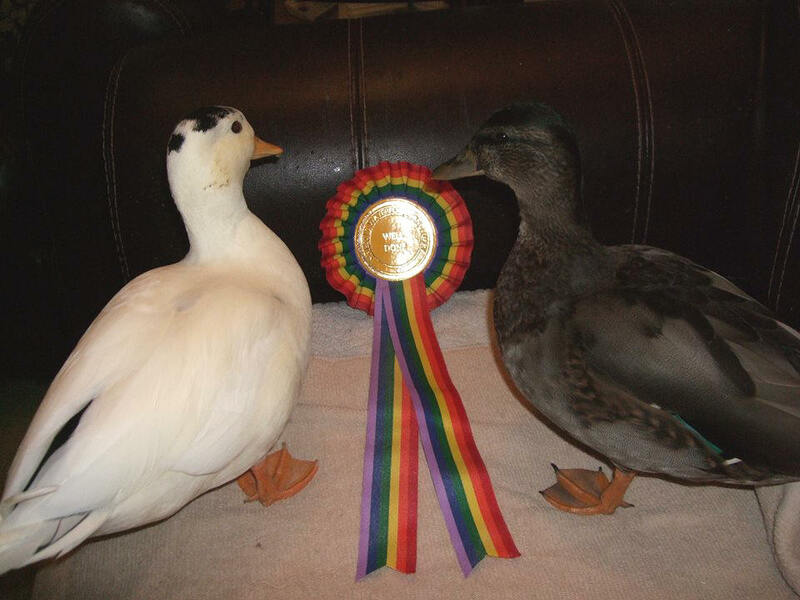 Our 2013 Honorable Mention Winners "Tic Tac & Jelly Bean" pose with their ribbon! 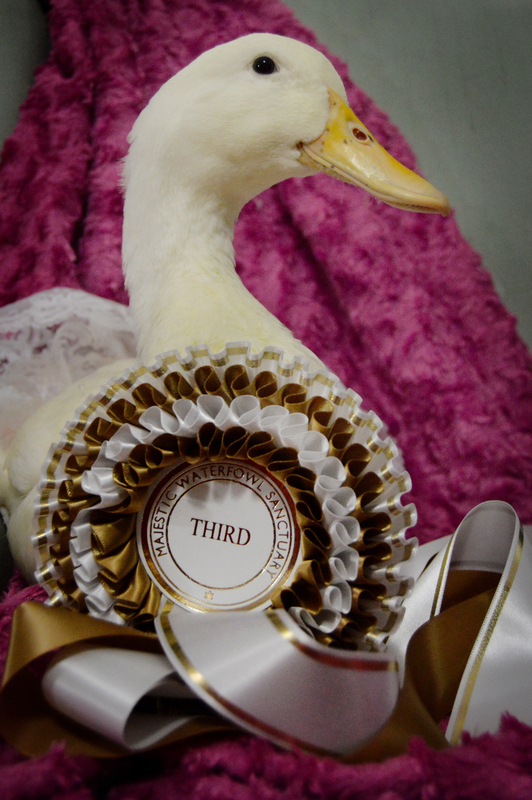 Our 2013 Third Place Most Comical Winner "Lili" poses with her White ribbon! 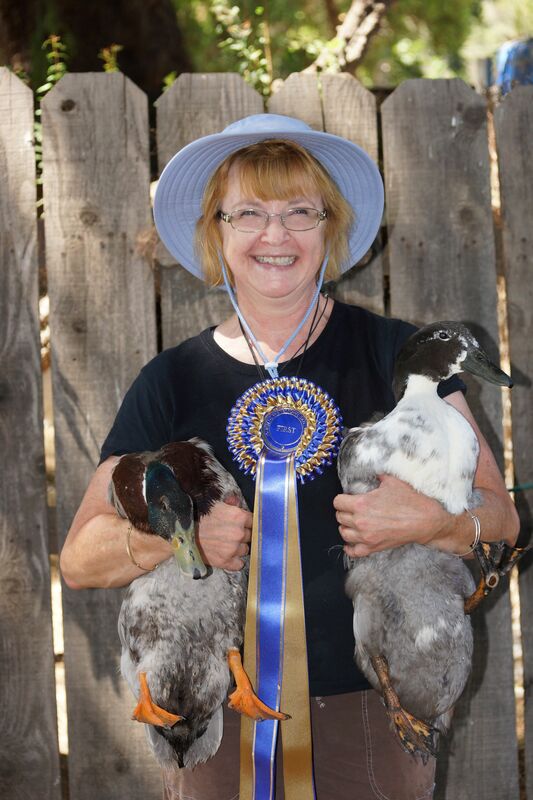 Our 2014 First Place Best Couple Winners "Chase & Samson" pose with their Blue ribbon & proud Momma! 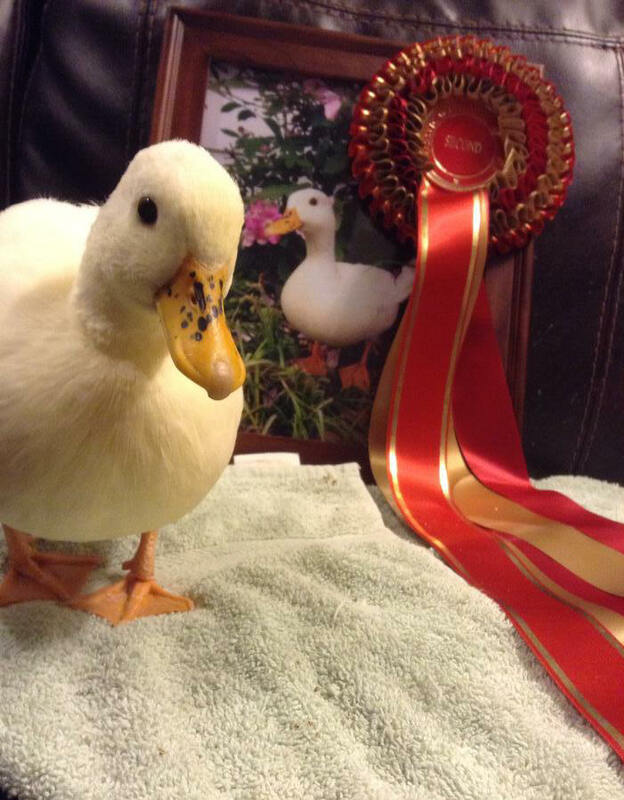 Our 2014 First Place Most Photogenic Winner "Buffy" poses with her Blue ribbon! 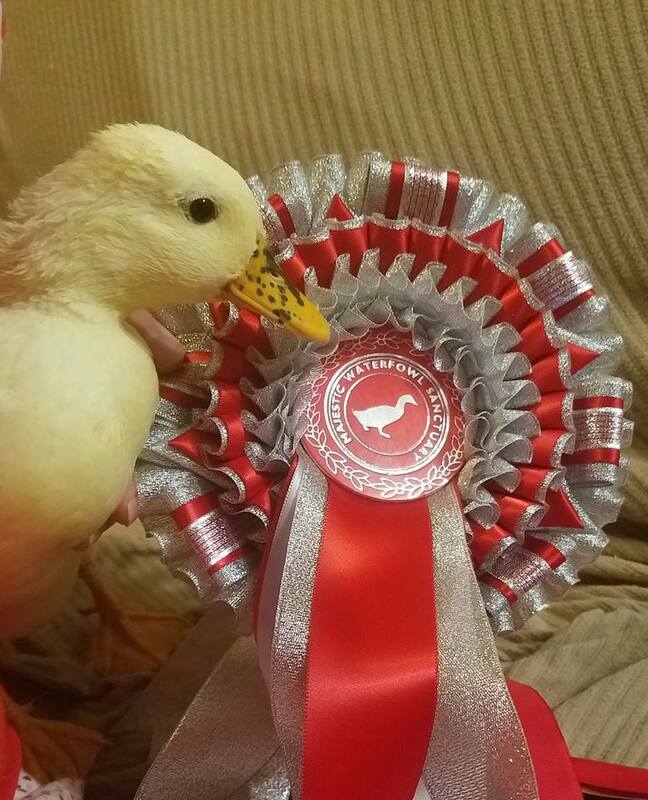 Our 2014 Second Place Most Photogenic Winner "Elly" poses with her Red ribbon! 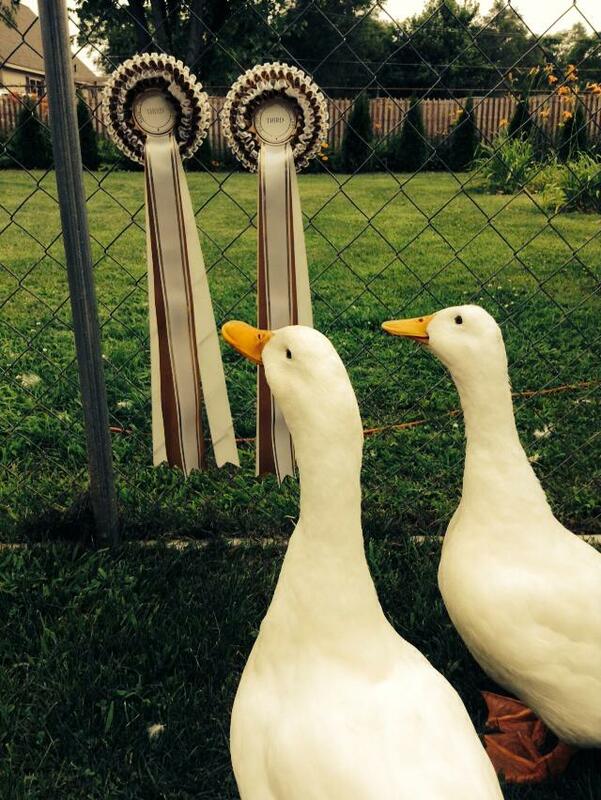 Our 2014 Third Place Most Photogenic & Best Couple Winners "Sparticus & Alice" pose with their White ribbons! 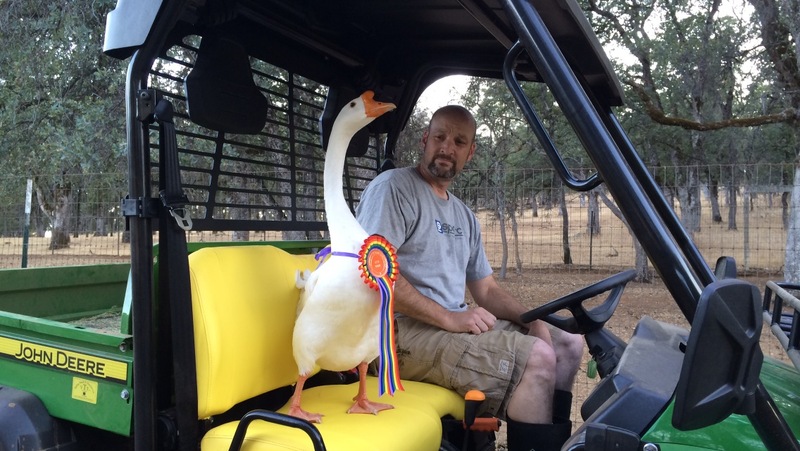 Our 2014 President's Award Winner "Marwyn" poses with his Rainbow ribbon & proud Poppa! 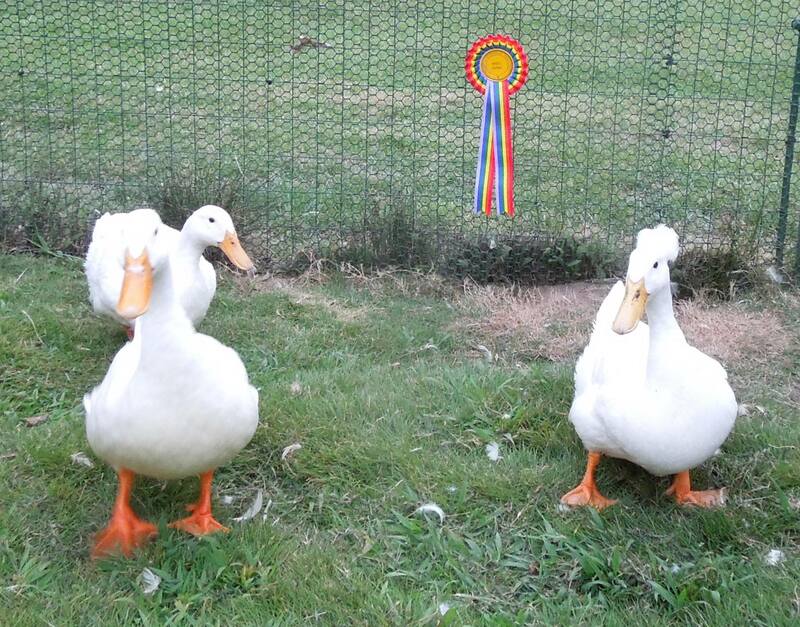 Our 2015 Second Place Most Photogenic Winners "Daisy & Dino" pose with their red ribbon! 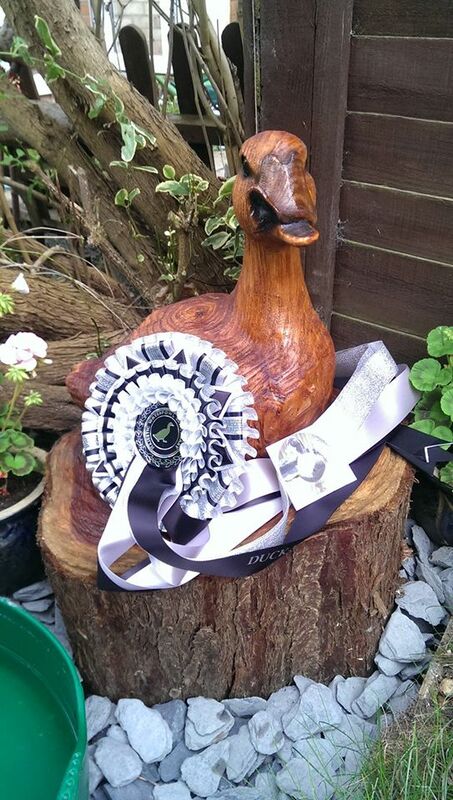 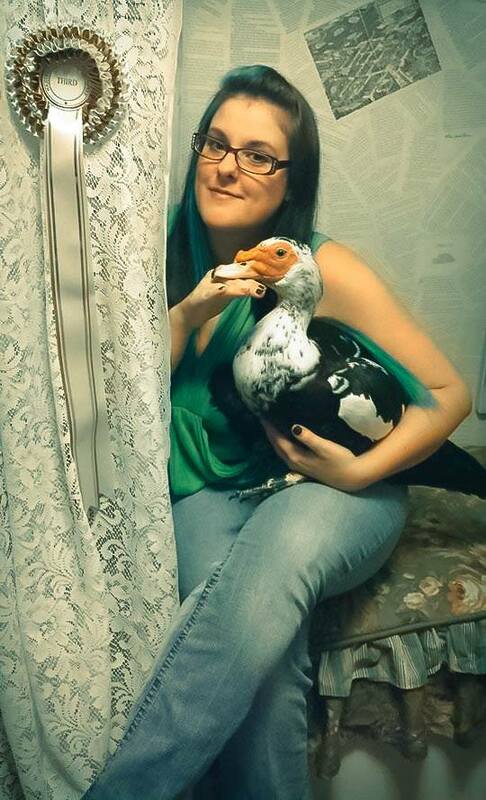 Our 2015 Third Place Most Photogenic Winner "J" poses with his white ribbon and his proud Momma Duck! 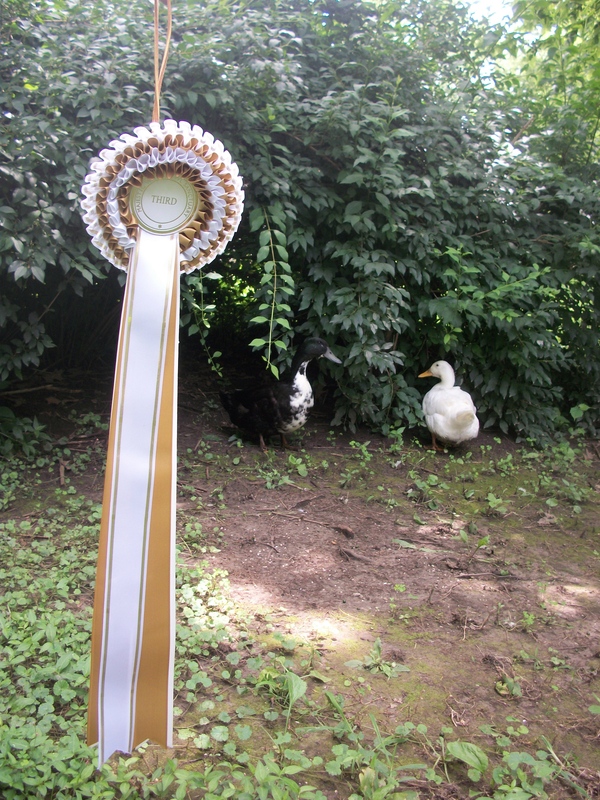 Our 2015 Third Place Most Comical winners "Sweet Jack & Sweet Cicely " run and hide from their white ribbon! 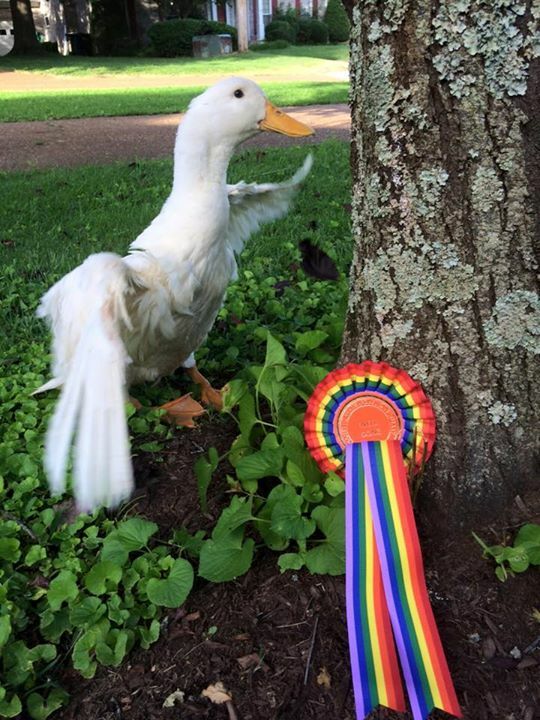 Our 2015 Honorable Mention winner "Payton" lets his friends pose with him and his rainbow ribbon! 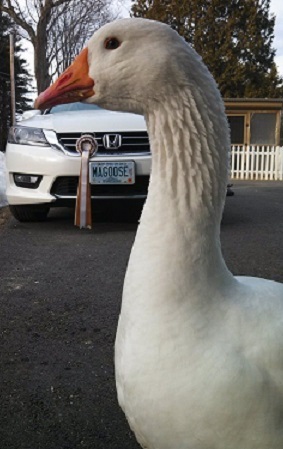 Our 2015 President's Pick winner "Tootsie " poses with her rainbow ribbon! 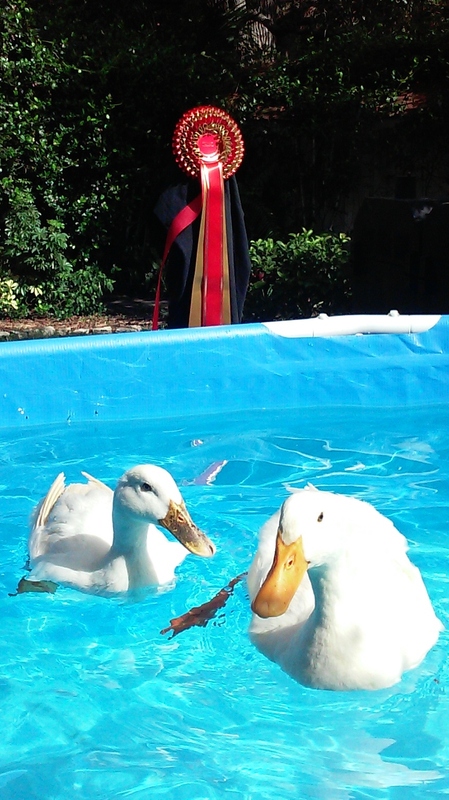 Click Here to see Page 2 of our proud Winners! 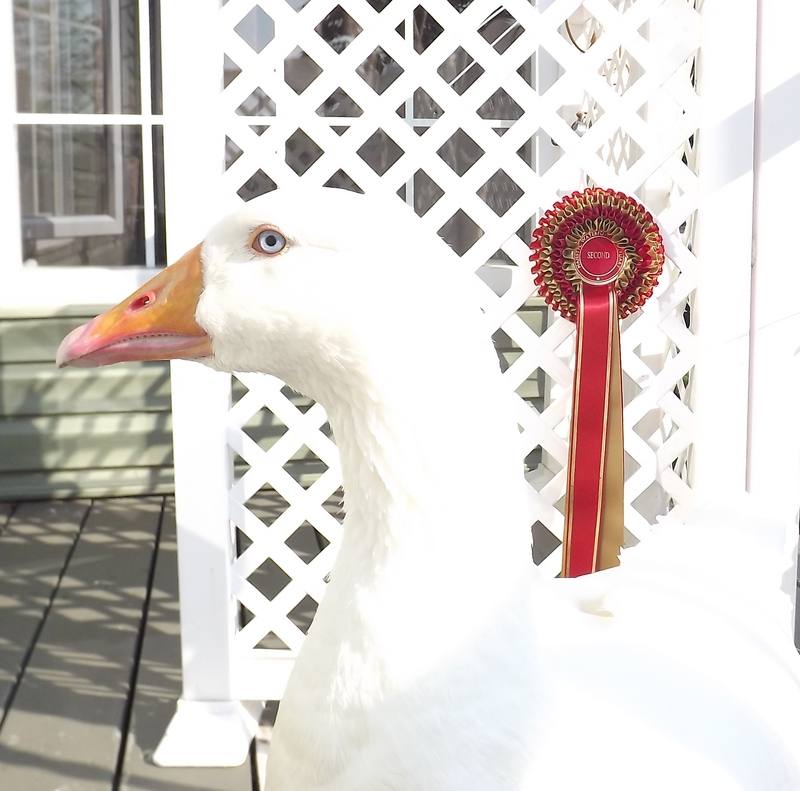 View our Blue Ribbon Winner's Circle!